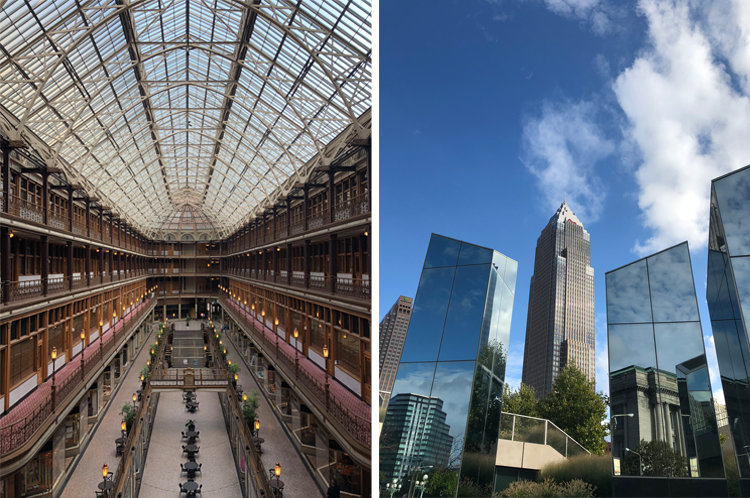 Cleveland is a fantastic city worth exploring — whether you’re a visitor just passing through or you’ve lived in the region for decades. In fact, many Ohioans have yet to experience all that this vibrant city has to offer! Take a look at our weekend itinerary for Cleveland, offering a general overview of some highlights of the city. Here are some of the best things to do in Cleveland if you only have a couple of days to see it all! Any good day starts with a cup of coffee and a pastry. 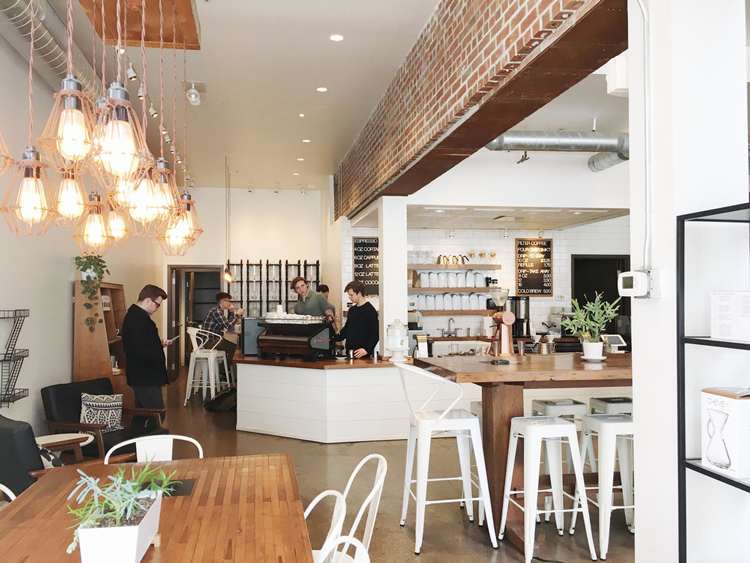 Cleveland has no shortage of local coffee shops, like duck-rabbit coffee in Tremont. This vibrant cafe roasts its own coffee in-house and offers a simple menu of tried-and-true options, ranging from pour overs to lattes, and cold brew to turmeric and ginger tea. Starting your day at this particular shop means you’re not far from the rest of the activities on the morning’s itinerary! 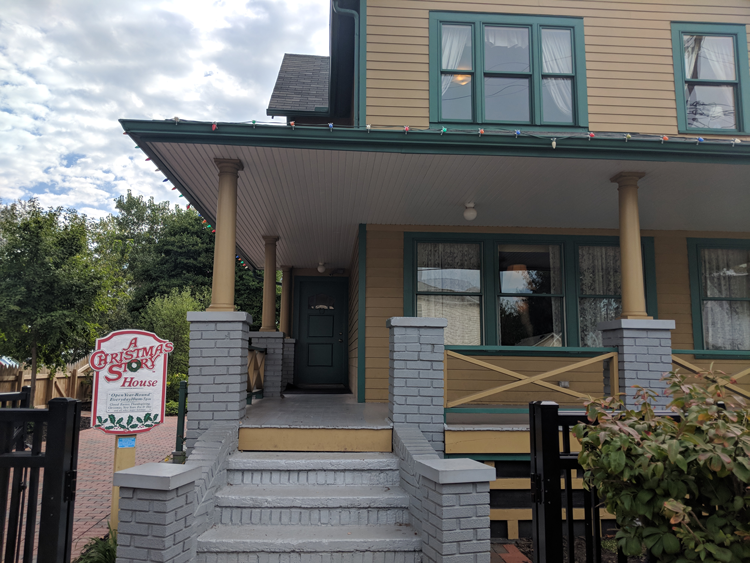 While you’re in Tremont, you cannot pass up a visit to the Christmas Story house. Opt for a quick photo op outside the house, which includes the iconic leg lamp in the window, or linger a bit longer to explore the museum across the street. The museum features original props, costumes and various memorabilia from the film, in addition to hundreds of rare behind-the-scenes photos. This legendary house and its accompanying museum are open year-round seven days a week from 10 a.m. to 5 p.m.
Make your way to the nearby Ohio City neighborhood, filled with endless things to do and see. For a list of other ideas during your visit, take a look at the many things to do in Ohio City — from theaters to churches and ice cream shops to restaurants. Some of our favorite lunch spots in Ohio City include The Flying Fig, Bakersfield, Town Hall and Crop Bistro. 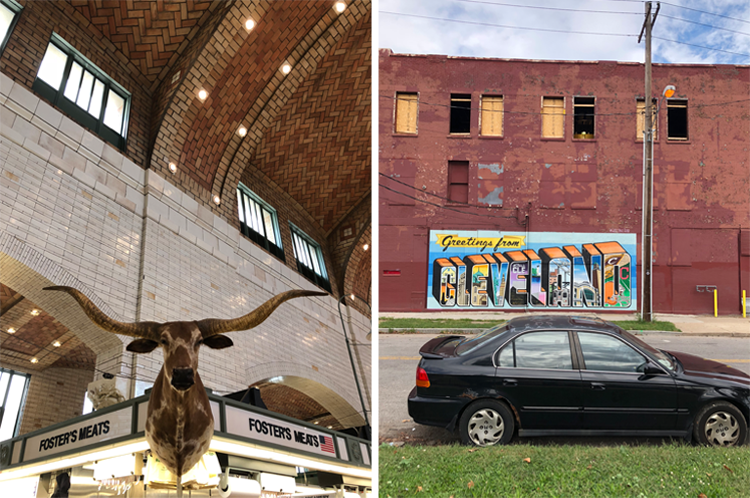 Linger in Ohio City a bit longer (and work off the food you just devoured) and explore West Side Market, Cleveland’s oldest public market, which is home to 100 vendors offering meats, seafood, fruits, vegetables, baked goods, dairy, flowers, ready-to-eat foods, spices and nuts. Continue to wander throughout this trendy neighborhood, popping in and out of shops, like Room Service, Wild Cactus Boutique and XHIBITION. Top off your visit with a sweet treat at Mitchell’s Ice Cream, considered the best ice cream shop in Cleveland. The Mitchell’s flagship is located in a former theater in the heart of Ohio City, which is where all of the production is done! This area has no shortage of breweries either, including the renowned Great Lakes Brewing Company, which has a brewpub and a seven-barrel brewhouse situated side-by-side. Other nearby favorites include Market Garden Brewery and Hansa Brewery. Venture out of the area to visit Noble Beast or Masthead Brewing Co., or fit in several breweries by hopping on board the Cleveland Brew Bus, which makes stops at some of the city’s best breweries, including Platform, Terrestrial and Forest City Brewery. If you can’t get enough of Ohio City, you may consider visiting SOHO Chicken + Whiskey for a delicious and hearty Southern dinner focused on — you guessed it — chicken and whiskey! Otherwise, some of the best dinner spots in the city include Il Rione Pizzeria, Edwins, Gigi’s on Fairmount, Red, the Steakhouse, Salt+, and The Greenhouse Tavern. If you’re looking for a particularly fancy option, you might want to make a reservation at one of the most romantic restaurants in Cleveland! Top off your eventful day with a show at one of the best venues in the city. Check out the line-up for upcoming shows at any of the many music venues in Cleveland, such as The Beachland Ballroom in Waterloo, the Grog Shop in Coventry, or the famous Agora Ballroom. If theater is more your scene, take a look at the schedules for Playhouse Square, considered one of the nation’s largest theater districts, boasting nine venues attracting acts of all sizes and styles. More affordable venues include the Cleveland Public Theatre in Gordon Square and Dobama Theatre in Cleveland Heights. Try out another exceptional coffee shop to kick off day two, this time sticking closer to the heart of downtown. Pour Cleveland is a bright and modern multi-roaster pour over and espresso bar with a simple menu and a focus on crafting exceptional coffee. Ask about the current pour over or opt for a latte or hot cocoa. Considered one of the most renowned attractions in the region, the Rock & Roll Hall of Fame is a must-visit for both visitors and locals alike. This beautiful modern museum nestled along the shore of Lake Erie showcases some of the best-known and most influential artists, producers, engineers and musical figures throughout history. Explore six levels of exhibits spanning decades of rock and roll history seven days a week from 10 a.m. to 5:30 p.m. and on Wednesdays until 9 p.m. While you’re near the water, make a point to visit Edgewater Park, a massive park along the shore of Lake Erie. This 147-acre park features 9,000 feet of shoreline, dog and swim beaches, boat ramps, a fishing pier, picnic area and grills, and a rentable pavilion. The Edgewater Beach House is a modern lakefront eatery with a great selection of beer and delicious food. Speaking of dining along the lake, there are plenty of waterfront restaurants in Cleveland to choose from! Alley Cat Oyster Bar is an excellent oyster bar along the Cuyahoga River in the Flats East Bank entertainment district. Mainstays include oysters, mussels, clams, lobster, fresh fish, chicken, steak, chowders, soups and salads. 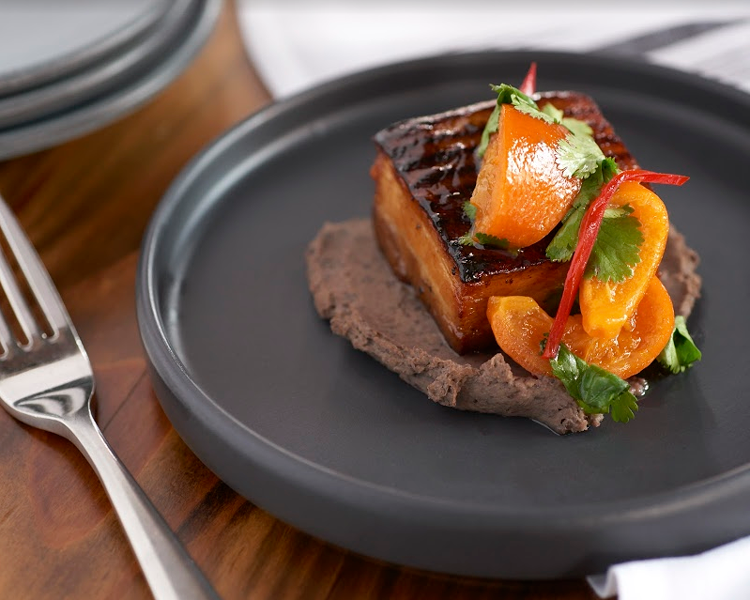 Nuevo Modern Mexican & Tequila Bar is a modern Mexican eatery situated along Lake Erie serving an array of Mexican fare complemented by a robust tequila menu. The lush patios both upstairs and down offer beautiful lake views and cozy fire pits. Coastal Taco Bar + Chill is a casual and vibrant Mexican eatery nestled along the river next door to Punch Bowl Social. Coastal Taco offers an incredible selection of tacos, chips and guacamole, and unbeatable margaritas. The downtown area of Cleveland has experienced a renaissance in recent years, ultimately making it one of America’s hottest cities in 2016. From gorgeous historic structures to shiny modern skyscrapers, the city is teeming with excitement and history. The Cleveland Museum of Art was ranked the second best museum in America by Business Insider in 2016 — and it’s easy to see why. The mission statement of this award-winning museum is to create “transformative experiences through art, for the benefit of all the people forever.” That also means admission is free to all! Admire an impressive work of art in the form of architecture at The Arcade, America’s first indoor shopping center established in 1890. Today, this stunning building is home to the Hyatt Regency Cleveland, boutique shops, various services, a food court and fine dining destinations. Take a stroll through the new Public Square, a beautifully landscaped two-block central plaza in the heart of the city. The square was part of the original town plat overseen by Moses Cleaveland in 1796 and now acts as an integral part of the city’s landscape. The three tallest buildings in Cleveland all face the square, including Key Tower, 200 Public Square and the Terminal Tower. If time allows, escape the busyness of downtown with a visit to the Cleveland Cultural Gardens in Rockefeller Park just outside the city. The lush grounds host more than 30 gardens, all designed and cultivated by distinct cultural or nationality groups, representing the diversity and multiculturalism of the city. The gardens are often driven through rather than explored by foot and admission is free! The renowned East Fourth block is home to some of the most exceptional eateries in the city. In fact, one celebrity chef (and James Beard Award-winner!) runs two restaurants in this adorable pedestrian-only alleyway adorned with string lights. 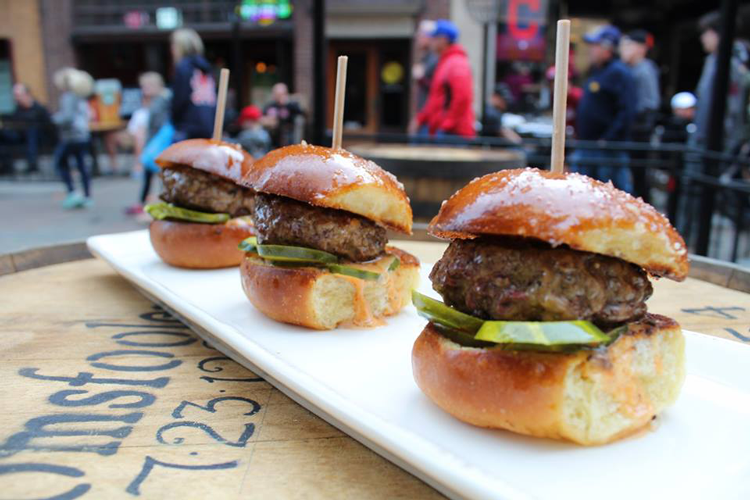 Michael Symon runs Lola Bistro, a sleek New American eatery, and Mabel’s BBQ, a swanky, industrial-chic BBQ joint with a wide selection of bourbons. Also, don’t miss Butcher and the Brewer for delicious brews and a wide array of seasonal and local bites. Top off the ultimate Cleveland weekend with a visit to one of the most secretive (and not-so-secretive) watering holes in the city. Visit the Prohibition-era Speakeasy in Cleveland Heights, Society Lounge on East Fourth, or Luxe Kitchen & Lounge, each of which offer an exclusive and sophisticated feel, serving up some of the best creative concoctions in the city. Which hotspots would you add to the itinerary? Let us know in the comments below!